Unocoin App-Unocoin the new app to earn Digital Cash Bitcoins or you can securely Buy or Sell the Bitcoins just by sitting at your home. You can easily transfer your Bitcoins too. So it's the best way to Earn the Bitcoins right away through this app. Unocoin App gives you facilities to earn and transfer Bitcoins to anyone. As when the rate of Bitcoins increases you can sell the too by using this app. You can also keep the transaction details of your sent and received Bitcoins. Now as per the promoting criteria Unocoin is going to give a chance to earn 200 Rs Recharge Bill or Coupon of BookMyShow or MobiKwik. You can also get 10 Rs Paytm Cash reward too. How To Get the Free Recharge on Unocoin ? PAN CARD/AADHAR CARD for Verification. How To Get this Deal on Unocoin ? First off Download the Unocoin App. After the Install the app and Open it. Now Click on Sign Up Button and Fill all your Details. Now enter Refer Code . Must Enter Both Codes other wise you won't get anything. After Successful Confirmation. Accep the Terms and Conditions. You'll be Rewarded 10 or 200 in Bitcoins Section. Now you need to have KYC verification to get 200. How To Verify Your Account. ? Go to the Homepage of Unocoin App. Click on the Get Verified Banner. Now provide your details according to your PAN and AADHAR card. In next step you have to submit your AADHAR, PAN Images. Like Address Proof Aadhar Image, AADHAR as ID Proof, PAN Card and Your Image. After Successful Uploading you'll be verified within 1-3 working days. When you get verified then you'll be able to Redeem your 200 Rs as BookMyShow or Mobikwik. 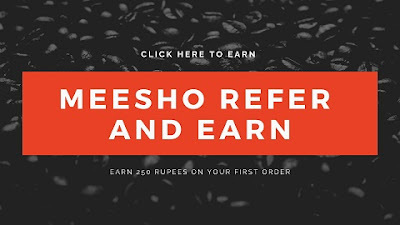 How To Redeem 200 Rs ? 1. Go To Menu option In App. 2. Select Recharge/Bill Payment & Recharge Using Your Bitcoin Balance. 3. To Redeem BookMyShow & Mobikwik , Choose Wallet Option In Menu. 5. You Will Get Your Reward Instantly. 6. You Need To Place At least 15 To 20 Bitcoin Balance In App.